I must admit, I never expected The Netherlands to be as pretty as it is. I guess I expected it to have the same beauty as France or Belgium, the beauty of both of which I love anyway, and in many ways it did. Lush rolling fields, sheep dotting their way about the landscape. But in many other ways, it also had a beauty of its own: picture perfect windmills, frost covered countryside, houses which had their very own canal and bridge access outside their front door. 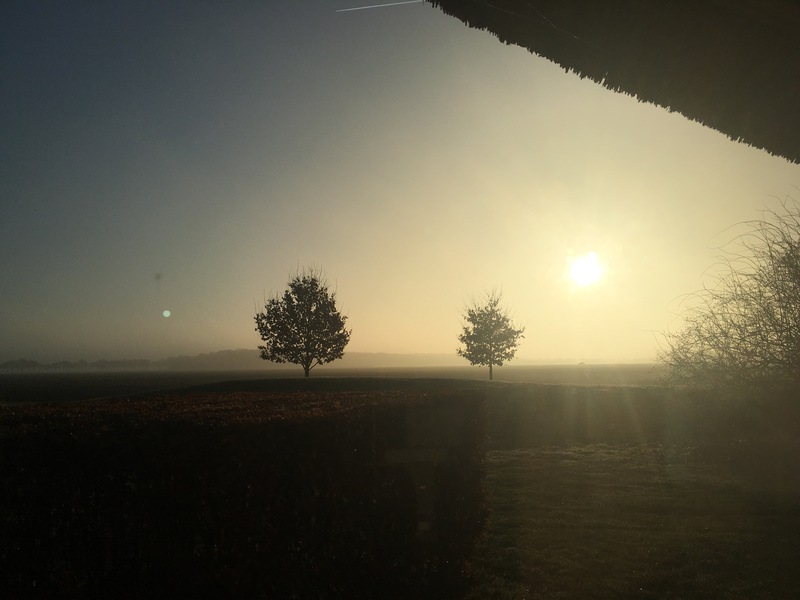 Yes it’s true that much of the beauty of Holland came down to the time of year that we visited – that limbo time between Christmas and New Year, Twixmas – as this helped contribute to those crisp, clear days, but I didn’t expect to fall for its charms to the extent that I did. Of course, it helped that we loved the resort we stayed at too. As CenterParcs fans, the Landal GreenParks’ Hof Van Saksen resort was always going to be up our street. And as only our second family holiday abroad, it was a great way to see in the New Year. After a fairly gruelling six hour drive from Calais, we were greeted with a warm welcome from the reception staff at Hof Van Saksen. The journey had taken its toll, shall we say, on Baby Lighty, and the staff immediately offered to wash his clothes free of charge. We found this helpfulness in all of the staff, who all spoke perfect English, throughout our entire stay. We were quickly given the keys to our farmhouse, which was only one of two luxury farmhouses to sleep ten on the complex. I must admit that whilst perfectly comfortable, I don’t think the accommodation was as luxurious as the Exectutive Lodges we’ve had at CenterParcs; we certainly could’ve done with another bathroom for the five adults plus Baby Lighty that were sharing our ‘wing’ of the house. 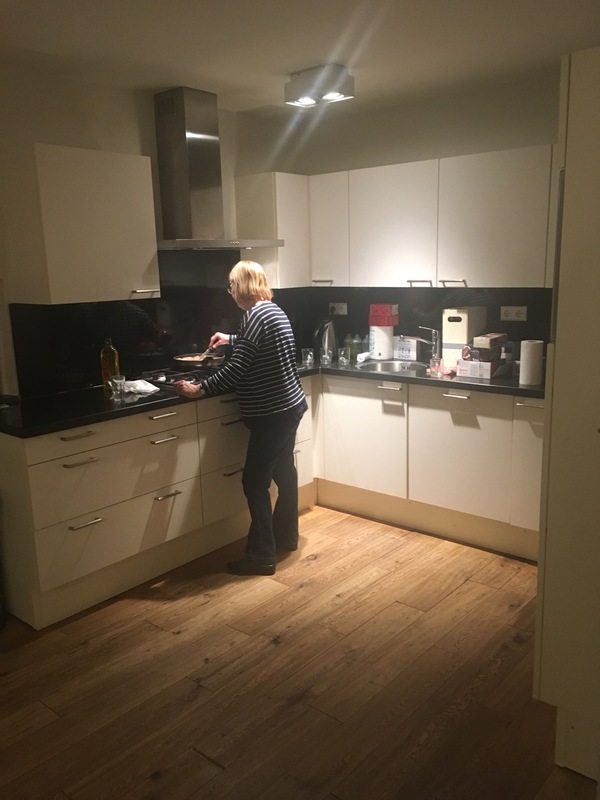 Mummy Hatchy in the farmhouse’s kitchen. Having said that, the large family bathroom had a shower and a bath, and there were two downstairs toilets, one for either ‘wing’. The kitchen was well equipped with two ovens, two fridges (one of which became a dedicated drinks fridge!) and a coffee machine, and there were two TVs and two comfy seating areas in the rest of the apartment, all decorated in tasteful greys and rural murals. We were also at the back edge of the resort, and so looked out over lush farmland and countryside, which was particularly pretty as the sun rose of a morning. The view one frosty morning from our farmhouse. Of course, the main attractions of the resort are the facilities and activities on offer. I couldn’t believe how family-friendly and also how budget-friendly the resort was. 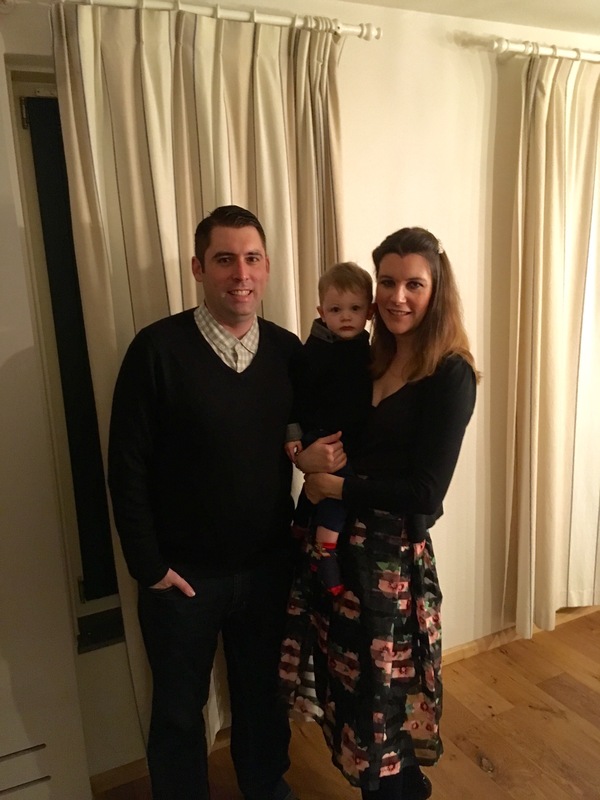 Having an 18 month old to entertain can be both daunting and costly, but we didn’t need to worry here. 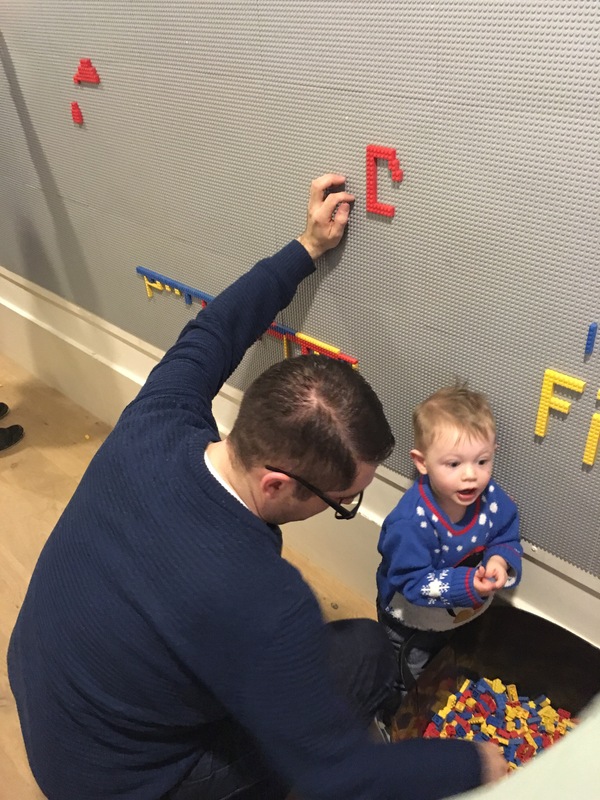 Every day we tried to pack in a different toddler-friendly activity to keep Baby Lighty entertained. 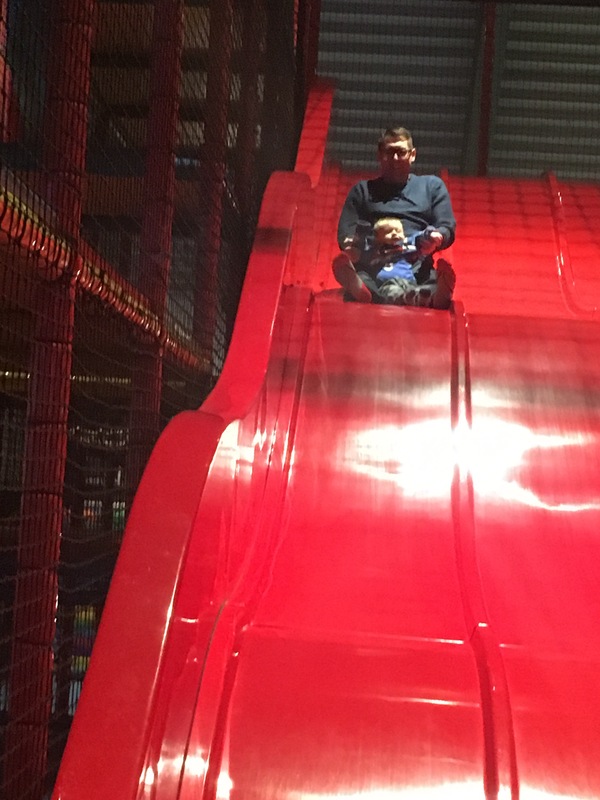 The activities we had to choose from included a huge soft play (where Baby Lighty wasn’t content with the preschool area, meaning that both Mr and Mrs Lighty had to climb to the dizzying heights of the big slide, resulting in Mrs Lighty crashing through Mr Lighty’s legs as he stood at the bottom laughing at us! 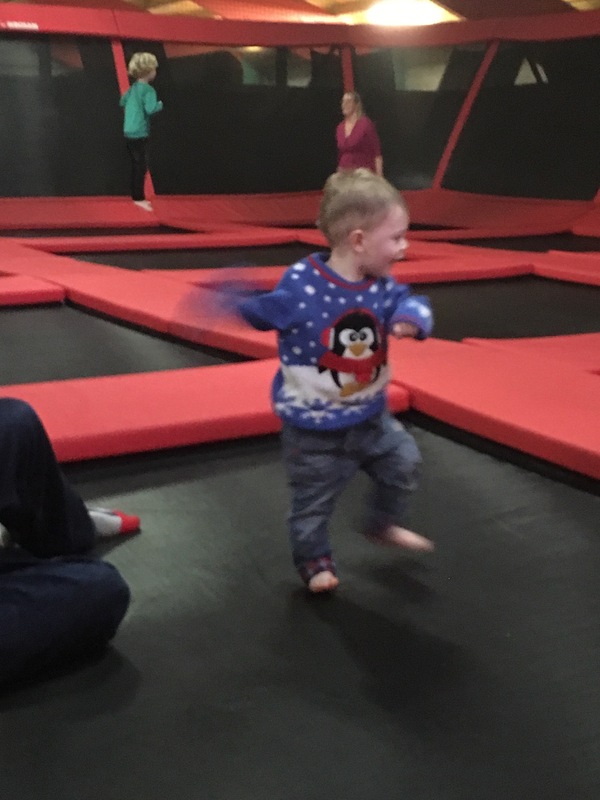 ), a trampolining centre and jumping pillows in the playground. The resort also had a good swimming pool area, where Baby Lighty loved the slides and fountains. I also couldn’t help but comment every time we walked past that I would have loved to have taken Baby Lighty into the craft and wood working area had he been older; the children that we saw emerge from there has made all sorts of wonderful creations, everything from paper lanterns and aprons through to wooden trains and dinosaurs! On one of the bouncy pillows! 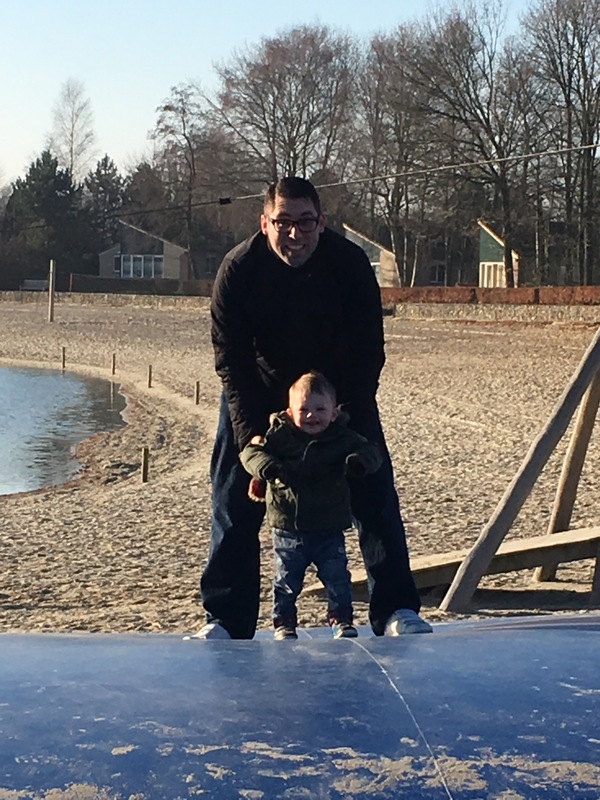 On the big slide with Daddy! One of the things that impressed us the most was how much entertainment you got for your Euro; by this I mean that many of the activities were free of charge to residents. The soft play, swimming paradise and trampolining centres were examples of this, and there were also plenty of outdoor play areas, often complete with the aforementioned bouncing pillows. We couldn’t believe how family friendly the restaurants were, either; we ate twice in the Grand Cafe, which had a 12 foot wall made of Lego bases for the children to make their creations on, a cinema area showing cartoons and a selection of toddler and child friendly board games to keep them entertained at the dining table. I couldn’t recommend the resort highly enough based on how family friendly it was, and I definitely think that we need to go back when Baby Lighty is bigger. We also used the resort as a base to have an excursion to the Wadden Sea. 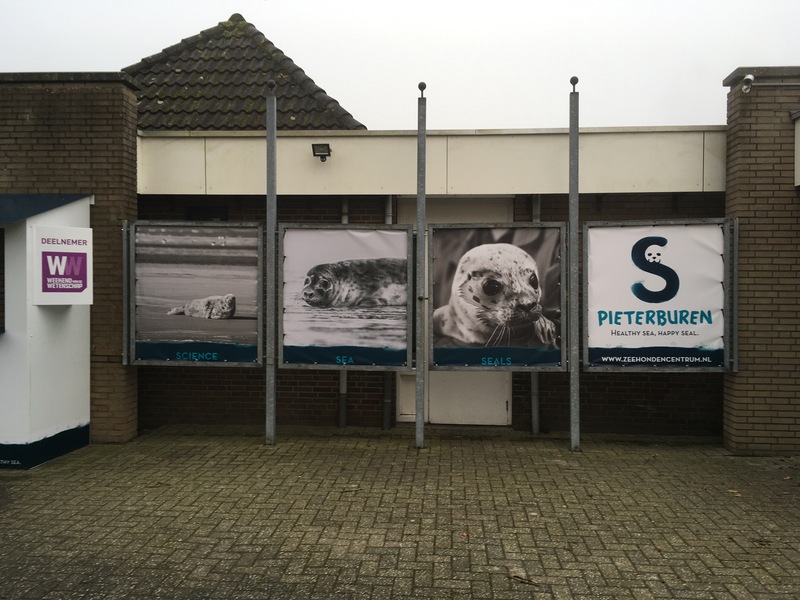 This World Heritage Site is home to the Pieterburen Seal Sanctuary, which rescues seals that have fallen foul of the likes of sea pollution, brings them to the sanctuary via seal ambulance (yes, really!) 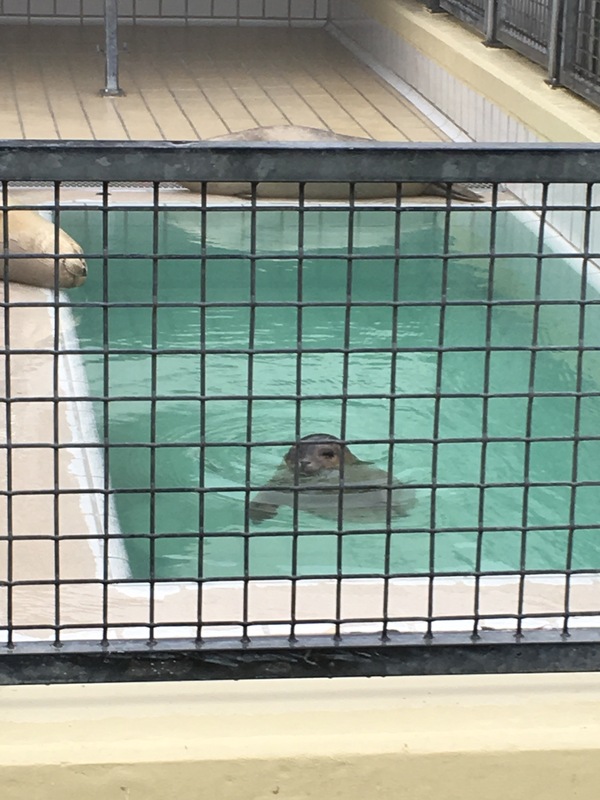 and nurses them back to health before releasing them into the wild again. The exhibitions regardinb how we can help the seals through using certain seaside friendly products and recycling as much as possible were excellently presented, and it was lovely, if somewhat freezing, to see these seals being looked after. The centre, again, was super family friendly, with lots of interactive features. Baby Lighty’s little face lit up on seeing the seals (although he did seem to think they were ducks, saying “quack, quack!” to them; perhaps it was the connection with the water?!) 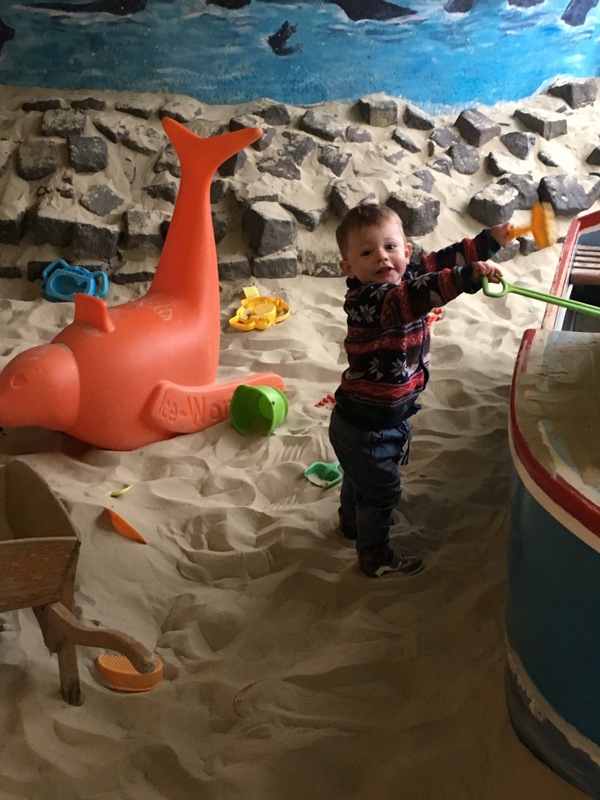 and he really enjoyed the large sandpit area in the centre. Unfortunately, on the day that we visited, it was too foggy to appreciate the true beauty of the area; we couldn’t even see the sea when we drove up to the coast for lunch after our visit. We could see, however, that the wetlands and little villages of the region would be stunning on a clear day, and we did manage to see some bird life, including a crane, during our trip! 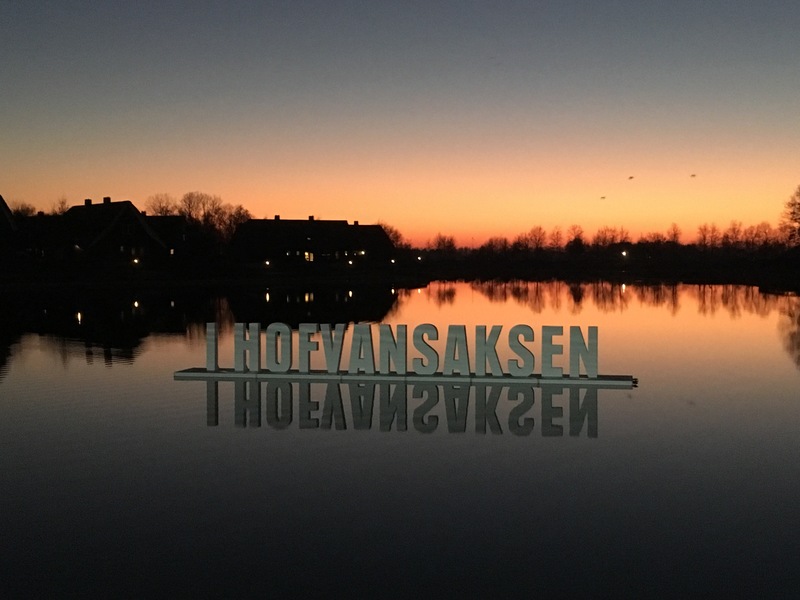 Of course, our main reason for visiting The Netherlands, and Hof Van Saksen in particular, was to celebrate the New Year with family, as has become our tradition. The resort really allowed us to do this, with plenty of meals eaten around the large farmhouse table and two lunches eaten out. There was time to relax, time to stretch the legs with walks around the resort (where Mrs Lighty and Mummy Hatchy felt like loitering in the hope of being invited in for Glühwein when we saw some of the holiday home residents mulling their wine on New Year’s Eve!) and plenty of time for playing Trivial Pursuit. Of course, Mr and Mrs Lighty also wrote the traditional Scavenger hunt and quiz, called The Netherlands Knowledge this year, which we were told was a particularly tricky one this time around! New Year itself consisted of dinner followed by the madness of Dutch fireworks; the residents of the resort were given a two hour slot in which they could let off fireworks, and boy did they use it!! For us it offered a good mix of relaxation and fun. And most importantly, it offered us time as an extended family and plenty of laughs. And isn’t that just the recipe for a happy New Year?! For more of the Lightys’ adventures, visit www.allthingsspliced.co.uk, and follow us on Facebook, Twitter and Instagram!